Today I want to introduce you to Diane Lindstrom who blogs at Nice One Nana! To read this at source, click the title below. Casual conversation seems to trap us into a practiced script that alienates us from exposing the truth about who and how we really are. It’s difficult to be honest with others because to do so, we need to believe that others care and that it will be safe to expose the restlessness in our spirits, without fear of rejection. It was quiet in the store — no customers around — and because I had engaged in conversations with this woman before, I decided to pursue the dialogue. The young woman began to speak. With those words, the woman began to weep. The Holy Spirit breathed Jesus’ familiar words into my conscience. I have learned that it’s a costly choice to care. Consciously allowing our hearts to break goes against not only our natural tendencies, but also against the grain of our culture. Myriad distractions lure us from embracing pain. There are so many places to hide so that we need not heed God’s beckoning to share in the suffering of impoverished people. But the pain and empathy I felt moved me to action. I walked around the counter and held her in my arms. Thankfully, no other customers came into the store and I was resolved to be “all there” for this hurting woman. She didn’t need advise or exhortation. I couldn’t be the answer to her pain but I certainly could be “Jesus with skin on” for those precious minutes that she needed to be held. The fog of a broken heart is a dark fog that slyly imprisons the soul. If we can be a beacon of light that breaks through the fog, even for a short moment, it is good and honoring to God. Diane Lindstrom is a Canadian author who looks for Almighty God in the ordinariness of life. She has been blogging daily since 2010 and has recently published her first book, Sisters in the Son. She thrives on bike rides, laughter and homemade chai tea with lots of froth. I’m generally a fan of social media. I actively use Facebook, Twitter, Instagram and Pinterest. I enjoy meeting new people, sharing thoughts and ideas, and having a forum to chatter about the simple things. However, the dark side of social media may be the format to perpetuate the sins of envy and comparison. Social media by nature only give space for us to put our best foot forward. Our most aspirational self is portrayed while our fears, challenges, and unmet desires remain hidden. After all, who wants to follow a constant critic or an endless stream of depressing thoughts? I think that partly explains the appeal of blogger Jamie Wright. 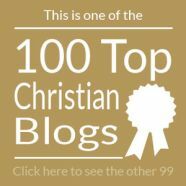 Calling herself “The Very Worst Missionary,” she isn’t afraid to present herself as the anti-role model; the blog almost revels in her failures, until she writes a post like she did recently about her Christmas tree falling over, and it’s just broad enough to include all of us, to bear the weight of all our brokenness. It’s been a rough one for me and for some of the people I love. Frankly, this is not the most wonderful time of the year for us, at least not this time around. I’ve noticed this year (probably because I’m having a super lame horrible dumb stupid stupid stupid Christmas) that there doesn’t seem to be a lot of space in our lives for hurting people during the Holidays. But, man, there are a lot of hurting people. There are a lot of people for whom this time of year is sad or bitter, hollow or lonely, or just plain painful. While some of us are celebrating, others are aching. While some of us are toasting to long life, others are mourning life lost. While some of us feast on family time, others are starving to be loved. The bustle of activity and togetherness in December only serves to make some houses feel all the more empty. Click the graphic at the top for more (in different article) from Sarah. Perhaps that was the appeal of the article I linked to earlier in the week; where an author shares a story she originally planned to keep hidden; one of checking herself into a hospital psych ward, a story which also reminded of a similar brokenness in Shelia Walsh‘s story. I hadn’t planned on only quoting or mentioning women today, but if this is helpful to someone today; I guess that was God’s plan. However, know that because there are more of them online, men who blog are equally guilty of a lack of transparency, and equally broken, but probably a lot less likely to express it. Where is God When Trouble Strikes? 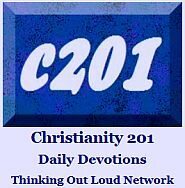 In February, 2011, I ran a piece at Christianity 201 by David MacGregor, a pastor in Brisbane, Australia; the area which had been hit by record flooding over the preceding months. The same day, I also linked to another of his articles where he is most honest about the trials of dealing with the flood’s aftermath. The unsettled feeling he gets looking toward the future makes it hard to sing certain songs, like “It Is Well With My Soul.” I recommend reading it again today, as well, in light of more recent events here in North America. After stumbling on his blog, I decided to scroll back and read more of his writing, and uncovered this post and poem, written more closely after the catastrophic weather events there. I think that both articles combine to show that we can be broken, and yet still see the presence of God even in the middle of it all. He called this piece, Christ Shows His Face: A Flood Reflection. Long time since I last posted. Combination of post-Holy Land acclimatization, everything Christmas, helping out at NCYC 2011, beginning a holiday at Hervey Bay, coming home prematurely because of Brisbane River floodwaters entering our house, moving back into our home just two days ago and finally getting power restored just two hours ago. This has been an incredibly draining time – and that’s without the massive hardship and loss experienced by so many. It was SO hard being stranded for those days at Hervey Bay, yet unable to get back to Brisbane due to flooded rounds between there and Brisbane. I reckon it’s been some of the hardest few weeks of my life. We had no option – from afar – to leave the evacuation of our home (either to the top story OR the church OR friends’ places) to an incredible armada of folk from our church, longtime friends and of course Joel and Jeremy back at the ranch. Like so many others, I find myself not starting the year anywhere near refresh. I feel totally drained. I was taken by a Facebook posting by radio station 96.5 FM’s Billy Diehm last weekend. Billy was asked basically, “Where was God in all this?”. His marvelous answer was loosely along the lines of: God was there in every volunteer, every emergency services worker… So true. light of Christ keeps shining. When love’s true light keeps shining. David MacGregor’s blog introduces the Hillsongs recording of It is Well With My Soul, recorded as a benefit for Queensland flood relief. But as a minister in Brisbane, he finds the song hard to sing at this early stage of the rebuilding effort. “Many scholars believe, and I am persuaded, that the biblical Gospel of Matthew was designed to be used by the church as a catechism, or handbook for training disciples.” This is theme of an article by Chaplain Mike at Internet Monk which kicks of a series. It’s weird, but as I was reading Pete Wilson’s post Everyone Needs Healing, it reminded me of the first part of the worship chorus Mighty to Save. We are all broken people for whom the cross of Christ is sufficient. How does a guy from Alabama end up spending most of the past decade doing campus ministry in The Philippines? That was the question we asked here exactly a year ago in a profile of Kuya Kevin. BTW, his blog is still going strong. Andy Pierson at SoulJournaler discovers that denominational differences make the Christian blogosphere a cruel place sometimes. Here’s a sentence I wish I’d written: ” Because I do not come forward with a specific denominational statement I am in this nebulous no-man’s land. 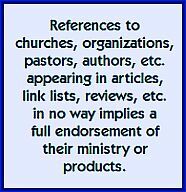 I have on the other hand made very clear “statements of faith” through blog posts.” There’s more stuff here some bloggers might identify with. It appears the Fred Phelps gang’s annual picketing at San Diego’s Comic-Con met their match when a much larger group decided to drown out their message with one of their own. Their restaurants are closed on Sunday so you know that Chick-Fil-A is a very pro Christian establishment. But these days, pro-Christian is assumed to mean anti-gay. Especially when you donate food to one group and not another. Read the article at CNN’s Eatocracy blog. Yet another article on the church’s approach to the LGBT community? Yes, I included this one because Julie Clawson nicely summarizes the various categories that a church’s approach to this issue might fall into. Not including the extremes, of course. Wil Mancini has Eleven Trends for 2011 at Out of Ur. One of those trends that is emerging in various quarters: Small is the new big. Here’s the 411 on the graphic below. [cue the extra reverb] It’s CAPTAIN SALVATION. Christian Comic International is reporting that “North Carolina USA based Salvation Comics is publishing a new, full-color super-hero comic book entitled “Captain Salvation,” written by Curt Hawn and illustrated by former Marvel and DC artist Greg Waller (“Stargate SG-1,” “Night of the Living Dead,” “Lady Death”). The Christian character-based company was founded by Hawn and Joshua Carpenter who met in 2002 as youth leaders at a church summer camp. Hawn sold a company he started in Atlanta to finance the project. Carpenter is an alumni from Christ For The Nations Institute and is operating as National Sales Director for the company. The first series, “The Kingdom Strikes Back,” will be a 5-issues in length. Read more at The Spectral Realm.